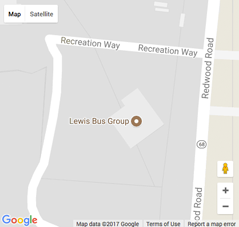 Lewis Bus Group is Platinum Support Certified! 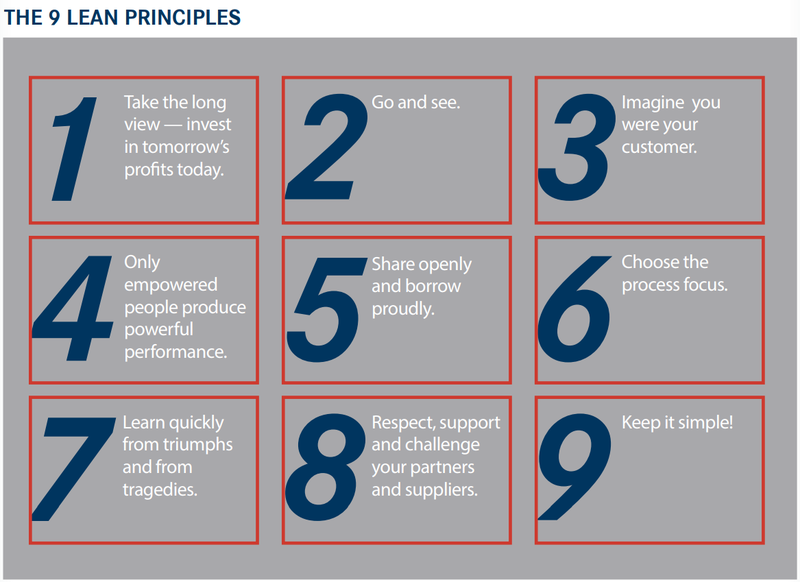 It means we believe in Lean Management, or Kaizen as you may have heard it called. Platinum Support is an elite group of Thomas Built Buses’ dealers, delivering superior customer service experience, in a consistent manner, at a good value, as validated by the customer. To be Platinum Support Certified means Lewis Bus Group has committed to leading and sustaining a culture of continuous improvement. Our Platinum Support Program is designed to make our customer and employee’s choices easy. In fact, the intent is to create a customer experience and working environment where folks don’t even consciously make choices, since they know their Platinum experiences and relationships from the past are extraordinary. There is no need to even waste time thinking of an alternative. Customers know they will receive value at a Platinum Dealer. Employees know their work environment will improve every day at a Platinum Dealer. Waste will continually be reduced at a Platinum Dealer. 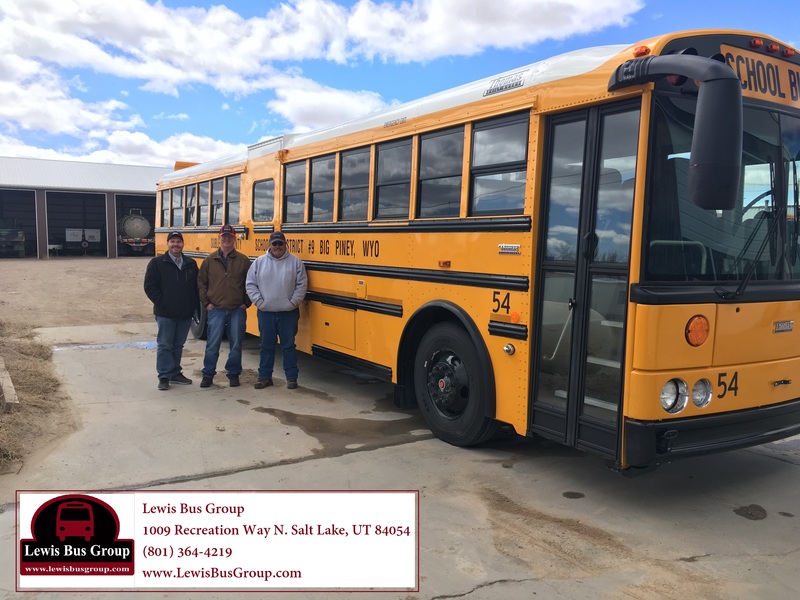 Along with the help of the Change Management Team, made up of employees set on bettering their company, Lewis Bus Group identifies, measures, analyzes, improves and works to sustain issues that prohibit us from giving you our very best at all times. Whether these issues be internal processes, expectations with vendors, or communication on the status of your needs, each member of the Lewis family has a vested interest in making things run smoother for us and for you, our Customer. Leans Management isn't just about processes and meetings, it's about culture! It's opening the floor for constructive opinions on bettering the way we do things; it's a lifestyle change towards reorganization to help the flow of business; it's instituting clear and fair expectations that invite our vendors and competitors to do better and be better for their customers. Essentially, it's giving power back to those who keep the lights on. Premier Assessment -- we've committed to a 24 hour estimate turn around time, and we're sticking to it! Bring your Thomas Built in for repair and receive a diagnostic and estimate in 24 hours or less, guaranteed! 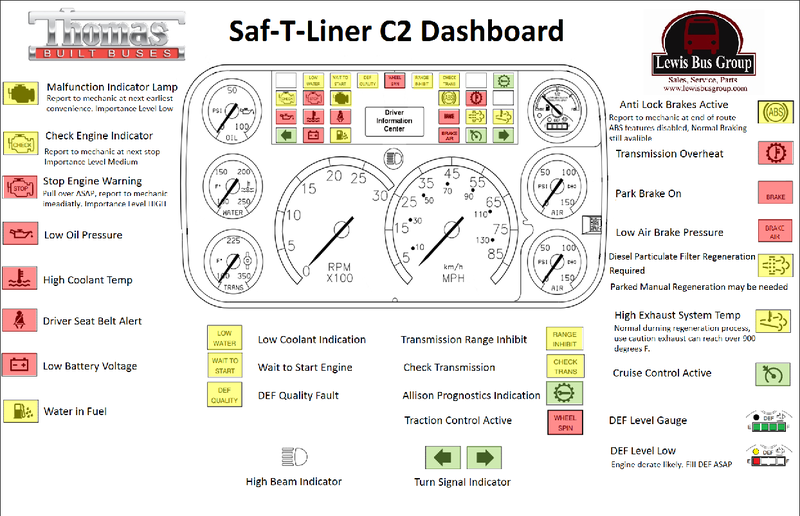 This service is currently only available to TBB buses while we fine tune our work flow but will be available to our commercial customers soon! Look for it in 2019! Voice of the Customer -- during our 2018 Give Us a Grade Tour, we visited the folks in our territory and asked for their candid grade of Lewis, before during and after the sale. We wanted to hear your voices and we wanted them to speak the truth. What we found is that while anyone can sell a bus, service after the sale is what matters most and we've committed to surpassing your after-the-sale expectations. We're looking forward to faster turn around times on repairs, better parts availability, and increased communication on maintenance to help you get the most out of your Total Cost of Ownership. Keeping with the Times -- Lewis Bus Group has been in business for over three decades but that doesn't mean we're behind the curve. Through ongoing education and training, we share laterally. Our staff educates on "the way it's always been", on what customers have come to expect, and what mistakes we've made in the past just as often as we share new, innovative ways to think and conduct business, complete a repair or streamline a process. We respect, support, and challenge one another while sharing openly and borrowing proudly. To our current customers, we want to thank you for your loyalty and invite you to watch us change and grow. To our future customers, we invite you to see what all the fuss is about! Support after the sale is what we're all about! Big Piney, WY is changing the way their para-athletes compete. The road is bumpy and the bus is loud, only adding to the charging electricity that weaves in and out of the seat rows as the track and field team chants songs in unison on their way to compete against their rivals a town away. Each rider on the bus is an athlete, physically and mentally fit, dedicated to their sport and driven by personal excellence. The competitors find their rhythm naturally as the chants and cheers change, one song leading into the next, fueling the fire in each of their bellies as they prepare to represent their school and home town in the events ahead. As the bus pulls into the parking lot, the student athletes empty out single file, with professionalism, confidence, intimidation, and above all, solidarity. Though they compete in individual sports, they understand the significance of building one another up if they are to compete at their highest level and do well today. Pulling in behind them, a shorter bus. Inside, the para-athletes. Equally as fierce, as mentally fit and as physically prepared to dominate their competition today in the name of personal excellence and home town reverence. But the para-athletes did not come on the same bus as the rest of their teammates because the larger bus wasn’t purchased with para-athletes in mind. Sublette County #9 in Big Piney, WY is changing the way their para-athletes compete. Previously, high school athletes involved in after school activities would be driven to and from their games in a Thomas Built Bus suitable for agile and ambulatory athletes only while the para-athletes followed closely behind in smaller, wheelchair accessible buses. The cost of this is team performance as well as fiscal responsibility– school districts are paying for two buses when one will do and will do better for the cohesion and inclusion of their students. 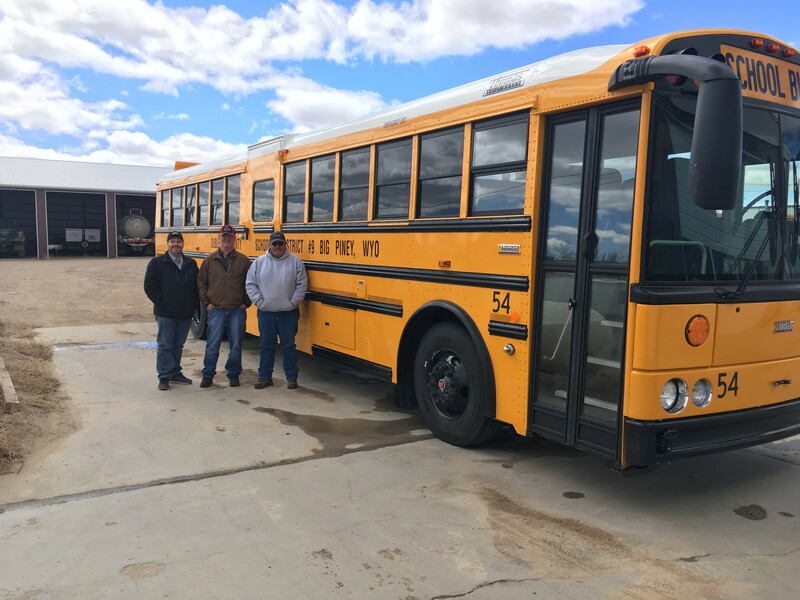 Sublette County #9 in Big Piney, WY has just purchased their first Thomas Built Bus Wheelchair Accessible Activity Bus, uniting their students as one force to be reckoned with. 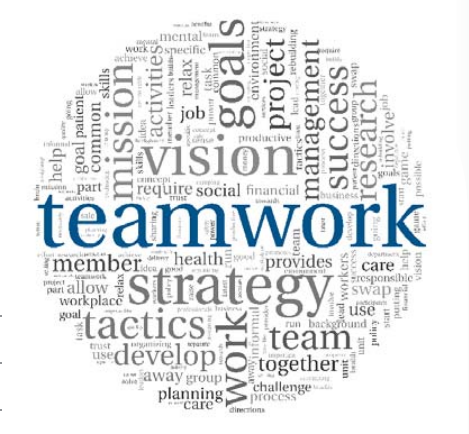 Anyone who’s ever participated in team sports can identify the electricity that courses throughout your limbs as you and your team mates prepare for the challenge ahead; they understand the significance of solidarity in those moments. Any high school coach will confirm, a quiet bus ride leads to an inevitable loss. Lewis Bus Group tips our caps to Sublette County #9 in the name of student inclusion and fiscal conservatism. It’s rare a dealership of any kind will ask you, ‘Why buy two vehicles when one will do?’ But at Lewis Bus Group, we’re looking to move you forward. Towards inclusion, towards excellence. Congratulations on your new bus, Big Piney! 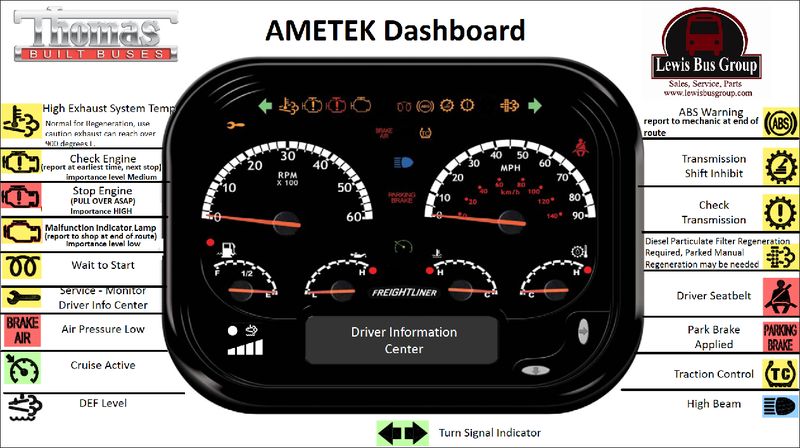 Description: The manual “timed release” rear securement system gives the driver 15 seconds use of “both hands” to connect and disconnect the (2) rear securement hooks to and from the wheelchair. 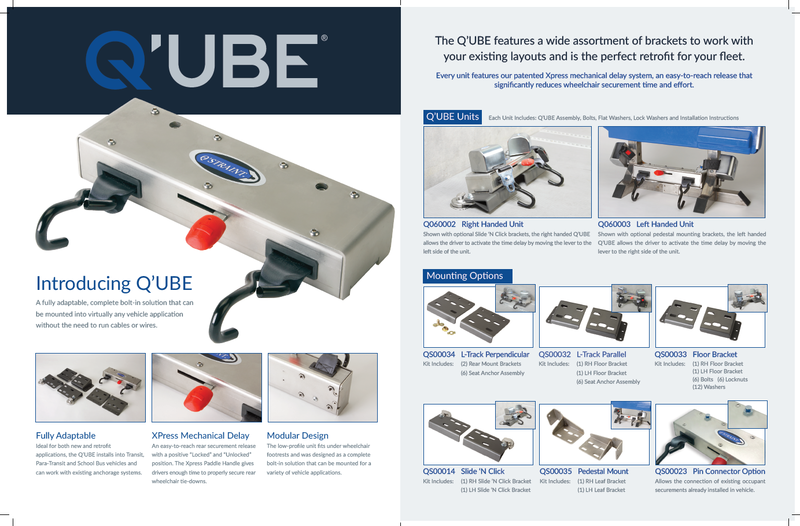 It is used with (2) front retractors mounted to either a standard floor anchorage (L track, Slide N’ Click), or in Transit applications permanently mounted to the V-Pro, or American Seating ARM. Unit Activation: Release Handle slides activating and releasing the retractor webbing for 15 seconds to allow the driver to attach the (2) rear retractors hooks to the WC. An audible “click” is heard when the unit is locked and the (2) rear retractors will then go into their self locking/self tensioning automatic mode (always getting tighter, never looser). 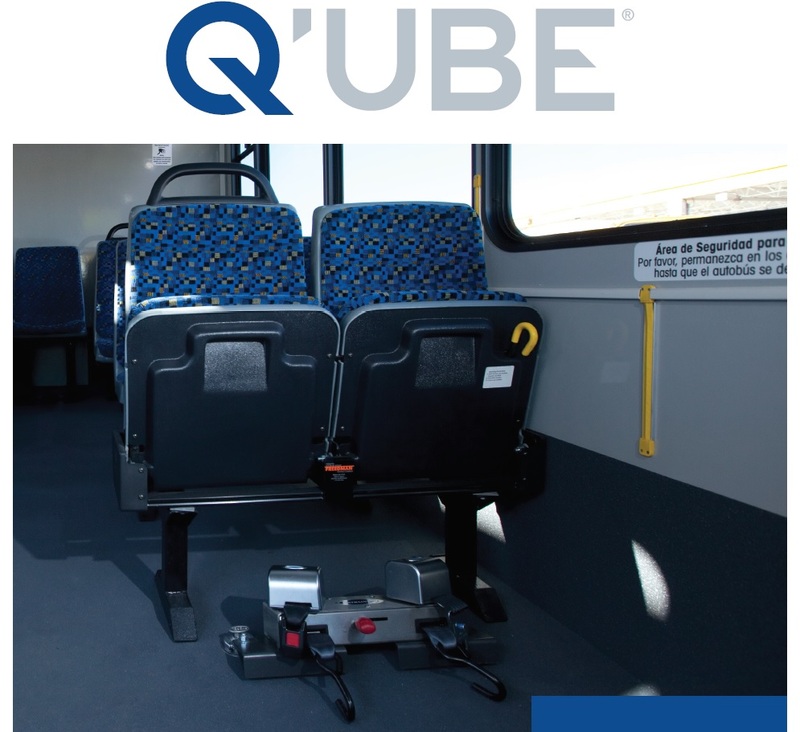 The “retractable” occupant restraint (lap belt) mounted on the unit will allow for easier accessibility and use by the driver. Retractable Occupant Restraint (lap belt) accessibility allows for easier use for driver. The use of Onspot quickly becomes a habit and it’s a good idea to ensure that they are ready for you. 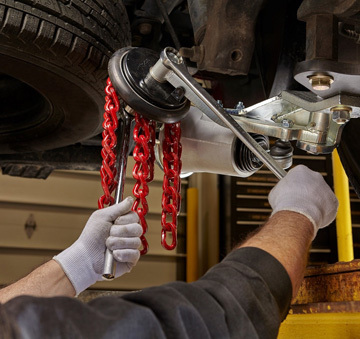 The safety factor of Onspot is maximized for you and your student’ when they are properly operated and maintained.